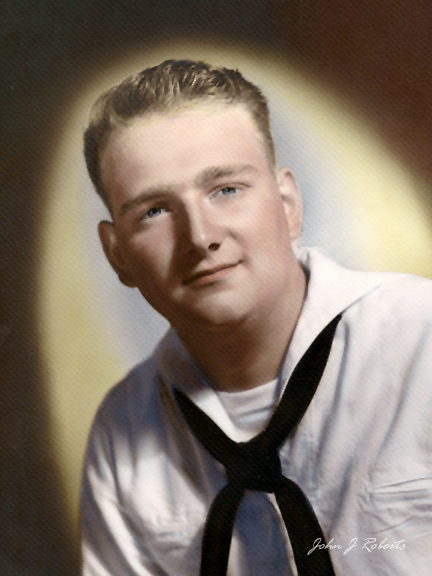 From 1960 to 1969, I served in the US Navy aboard submarines. I qualified on GUPPY diesel snorkel boats (upgraded from WWII fleet type boats) and nuclear powered missile boats. My first boat, USS Amberjack (SS522), was the last diesel sub to be retired and my second boat, USS Theodoore Roosevelt (SSBN600) was only the third missile boat commissioned. While neither of the boats above are these, to me the painting represents this “changing of the watch” from the old boats to the new. On August 3rd, 1958, the United States Navy submarine USS Nautilus (SSN-571) crossed the North Pole completely submerged on a route from the Pacific to the Atlantic. 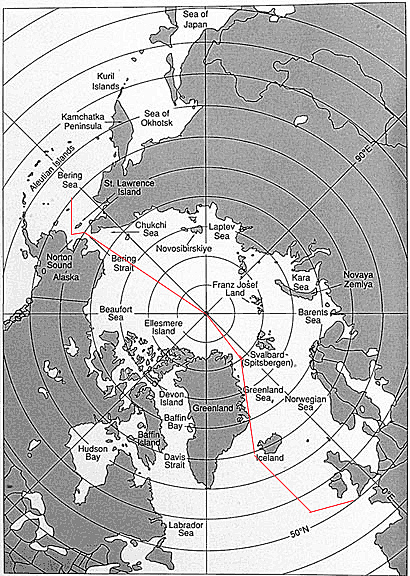 Having submerged off Point Barrow, Alaska, she did not resurface until approaching Greenland. Eight months later, on March 17, 1959, the USS Skate (SSN-578) surfaced at the Pole, becoming the first naval vessel to do so. Both of these events captured my imagination like nothing had done before. The story of the Skate’s adventures under the Polar ice was the subject of the feature article in the July 1959 edition of the National Geographic Magazine. With little money available for college, I began to think about the Navy during my Senior year of High School (1959/60). My father and 4 of his brothers had served in the Navy just 15 years before during World War II. I received my first “command” on that day as I was appointed “man in charge” of nine other recruits, given vouchers for 10 train tickets and meals, and instructed to “proceed and report” to U.S. Naval Training Center, Great Lakes, Illinois. It was there that I went through 16 weeks of Boot Camp. Clicking on the photo (above left) will take you to an online copy of Recruit Company 569′s “year book”. It was not my company but I went through boot camp at the same time so the photos would be the same except for the Roster. It’s funny but I don’t remember the more pleasant times depicted in the book. I’m sure every recruit in every service hated their Drill Instructor (DI). I continued to think about how I could get revenge on mine for over a year. After boot camp I moved to another part of the base and attended 5 weeks of Electronic & Electricity Preparatory school and then 28 weeks of Electronics Technician “A” school. 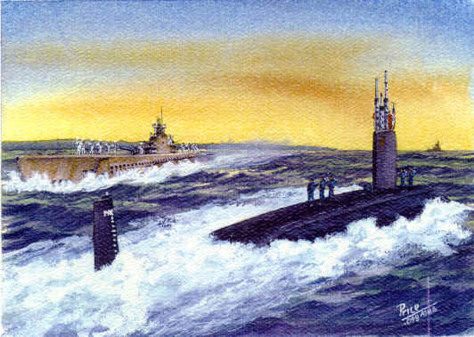 And I spent the coldest Winter (60/61) of my entire 70 years there on the shore of Lake Michigan.After graduating from ET “A” school, I reported to the Submarine Training school at New London, Connecticut in June 1961.